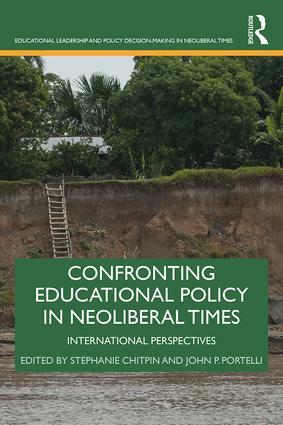 This volume explores how educational policy is changing as a result of neoliberal restructuring and how these issues affect educators’ practice. Evidence-based chapters present a sharp analysis of neoliberal education policy while also offering suggestions and recommendations for future action to bring about change consistent with more robust understandings of democracy. Covering issues relating to historical context, philosophical assumptions, policy implementation, accountability, teacher professionalism and standardization, Confronting Educational Policy in Neoliberal Times critically engages the ways micro- and macro- neoliberal politics shapes the purposes and implementation of schooling.